8th June 2018, Mumbai: Future Generali India Insurance Company Limited (FGII), the general insurance arm of the joint venture between retail game changers Future Group and global insurer Generali, won the ‘Optimize Every Experience Award’ at the Medallia Expy Customer Awards 2018. Medallia, Inc.is the the global leader in customer experience management. They had organised the Medallia Expy Customer Awards, to recognize the excellence in creating impactful customer experiences. 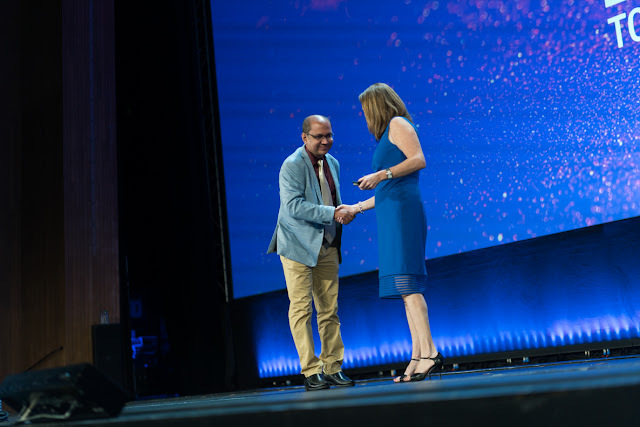 The Medallia Expy Awards reward members of the Medallia community who are innovating and winning through creating impactful experiences for customers and employees. Companies were selected by a panel of judges including Medallia partners Deloitte Digital, LRW, commonFont, and the CXPA. Future Generali India Insurance Company Limited is a joint venture between Future Group – the game changers in Retail Trade in India and Generali – a 187 year old global insurance group featuring among the world’s 50 largest companies. The company was incorporated in September 2007. Future Generali India has been aptly benefitting from the Indian expertise and network of Future Group and the global insurance insight in diverse product classes of Generali Group. It provides a comprehensive solution to customers and enterprises through retail, commercial, personal and rural product offerings. Having firmly established its credentials in this segment, Future Generali, effectively leveraging on the skill set of both its JV parents, has evolved to become a Total Insurance Solutions Company.